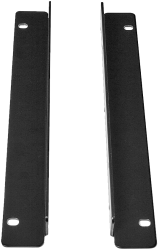 The completely redesigned surface gives system users real-time knobs and buttons to control functions. 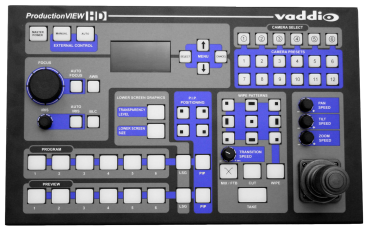 Because ProductionVIEW HD is a live broadcast console, not a computer, the entire system produces only one frame of delay – a critical requirement where image magnification is used. 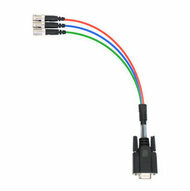 ProductionVIEW HD Component Cable - 7in. 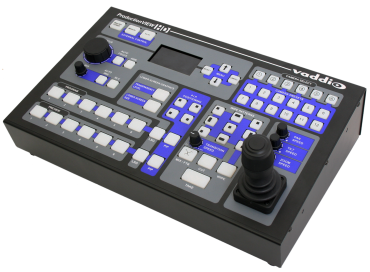 For use with HD YPbPr inputs or outputs on ProductionVIEW HD switcher. 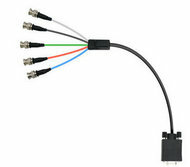 ProductionVIEW HD Component Cable - 3 Ft. For use with HD YPbPr inputs or outputs on the ProductionVIEW HD switcher. 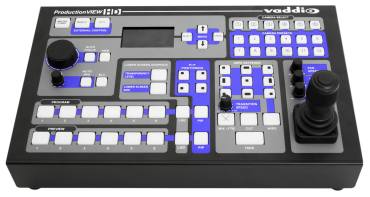 ProductionVIEW HD Y/C & Composite Cable 1 Ft. For use with Y/C or composite SD inputs or outputs on the ProductionVIEW HD and ProductionVIEW HD MV switchers.